Fall is here, which means that across the U.S., the temperatures are cooling and interior humidity levels are dropping. Soon, heating systems will be kicking on, and phone calls from concerned homeowners will begin rolling in. Seasonal related issues are one of the most common complaints that homeowners have this time of year. 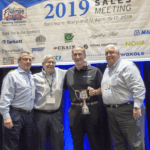 As flooring professionals, it’s our role to understand and properly address the issues, while simultaneously educating the customer and providing them with the information necessary to maintain and live with wood floors. Nearly every wood floor will have some seasonal separation between the individual boards – gaps – throughout the floor during the fall and winter months. When the air in the building is heated, the relative humidity levels drop. When this happens, the wood loses moisture as it equilibrates to the drier conditions and boards begin to shrink. As a result, gaps begin to appear between boards. This is a normal phenomenon and is directly related to the reduction of moisture in the surrounding air. Once seasons change and the interior heating systems are turned off, or when supplemental humidification is introduced and the indoor environment regains moisture, most of these seasonal gaps will disappear. 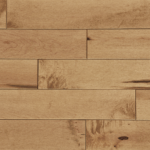 All solid flooring, including properly specified, manufactured, and installed wood flooring should be expected to have seasonal gaps between boards during the dry months when no supplemental humidification is added. The width of the boards, the species, and how it’s cut from the log can all affect how much solid wood flooring is affected by this change in moisture. In general, how much solid wood flooring shrinks is directly proportional to its width. 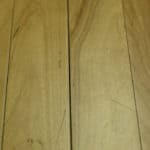 For example, in identical scenarios, an 8” wide plainsawn plank of white oak flooring will shrink twice as much as a 4” plank of the same cut and species. Seasonal gaps between boards are more prominent with solid wood flooring products than with engineered wood flooring products. The structural composition of engineered wood flooring inherently allows it to be more dimensionally stable than solid wood flooring. Although engineered wood flooring is more dimensionally stable than its solid counterpart, it will still react to these low humidity levels but will show itself differently. When the relative humidity levels remain below the manufacturer’s recommendations for long enough, engineered flooring will begin to dry cup. When this happens, the wear layer loses moisture (same as its solid counterpart) and begins to shrink across its outer face, which can exert enough force on the core material to pull the edges of the plank upward. This causes a cupped appearance across the width of the board. The effects of these seasonal fluctuations can be compounded in some new construction scenarios. 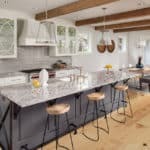 Energy-conscious homebuyers and homebuilders have, in recent years, demanded tighter, more energy-efficient homes, which can inadvertently become detrimental to wood building components and their ability to perform, if not properly addressed. This construction practice, by design, prevents warm or cool air loss, but also seals in the new home’s moisture. Moisture from the entire building process is not allowed to dissipate quickly enough. 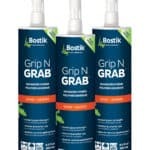 This moisture comes from many sources including hundreds of gallons of water used in the placement of concrete, masonry, thin-set, tile mortar, drywall, plaster and many other building components. This will often cause wood flooring and wood subflooring to take on this moisture. When the home dries out and finally finds equilibrium in the home (often 6-12 months after the home has been moved into), the flooring and/or subflooring materials shrink, and again result in what could then be considered abnormal gaps. If the environment remains at these conditions, the gaps will likely never completely close back up in the humid months. 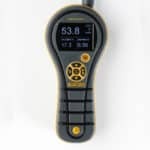 When assessing a customer complaint regarding gaps between boards, the first test should always be checking the interior temperature, relative humidity (RH), and moisture content of flooring, then comparing to the season in which you’re receiving the complaint. In these “seasonal situations,” the MC will likely be quite low. 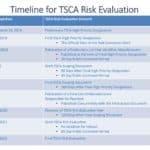 If you can gather these three pieces of information, you can easily assess whether the gapping is seasonal, by simply comparing your data, the EMC chart, and the seasonal fluctuations in your area. If the cause of the gaps is clearly not seasonal, more investigation will be necessary. An NWFA Certified Inspector can provide a thorough, unbiased inspection of the entire job to help find the cause. 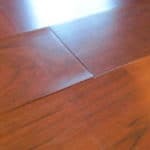 Regardless of what environment a floor has been exposed to, or exists when inspected, removal and replacement of a wood floor to alleviate gaps is usually both unnecessary and self-defeating. 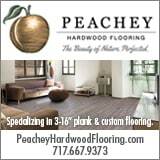 All parties involved should clearly understand the natural properties of a wood floor. It is usually best to leave the gapped floor in place and repair as necessary, if possible. Once an existing floor has been acclimated to a home’s environment, it is far more likely to remain stable and, with professional repairs, can regain the appearance it had when new with no loss of service. Normal gaps: If truly normal, in the sense that the gaps close up in summer months, no repairs are necessary. 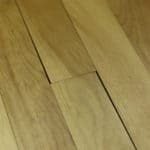 Any filler used to fill gaps when they appear – e.g., when the floor is dry – may permanently damage the flooring as the wood expands when it picks up moisture. In the process, filler, some of which are as hard as the wood, can crush the wood fibers along the edges of the boards. Thus, fillers may cause uglier gaps than those Mother Nature forced on the floors. A normal gap may have also been built into the floor, as an internal expansion joint (also known as a washer row). These built-in gaps should not be filled either. With the introduction of humidity, seasonal gaps will swell, and the gaps will disappear. This can be accomplished in two ways: (1) wait for the humid season while living with the seasonal gaps, or (2) introduce humidity to the facility with an adequate humidification system. Dry Cupping: An engineered floor that has dry-cupped will often return to its intended state once humidity levels have been returned to within manufacturer tolerances. In severe cases, the wear layer may delaminate from the core material when stresses exceed the strength of the adhesives used in the manufacturing process (known as ply separation) or when the stresses exceed the strength of the wood fibers within the material itself (known as wood-shear). In these cases, the affected boards must be replaced. Abnormal gaps: Even floors that have gone through a very high period of moisture absorption, then dried to leave abnormal gaps, can be repaired so that the gaps very nearly disappear. 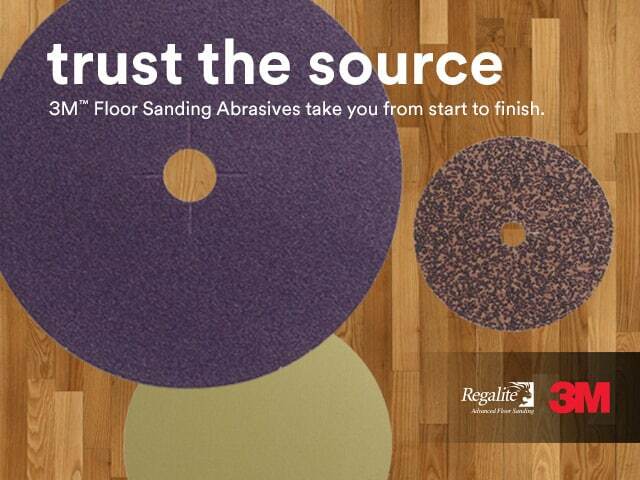 If the floor has a surface finish such as polyurethane, matching filler can be troweled into all gaps. When dry, the floor will likely need to be recoated. For larger gaps, inserting slivers may be necessary. In some cases, individual board replacement may be necessary. Work with your customer to help them understand the different scenarios of how wood reacts during the various seasons in your geographic area. The only way to completely alleviate seasonal fluctuations in wood flooring is to control the ambient conditions in the home. During the winter months, when the heating system is turned on, and the air dries out, the introduction of humidity to the home will not only minimize these effects on wood products but will also assist in the overall health of the entire home.